There was a time when a television program by the name of Meerkat Manor was the most important thing in my life, much more so than the boyfriend I often watched it with. So believe me when I say that those little buggers are brutal and would love nothing more than to symbolically devour your ex on Valentine’s Day. And now you can watch! If you Facebook message the El Paso Zoo with the name of your ex, they will bestow said moniker upon a doomed cockroach and then feed the damned to a ravenous meerkat on Facebook Live this Valentine’s Day. 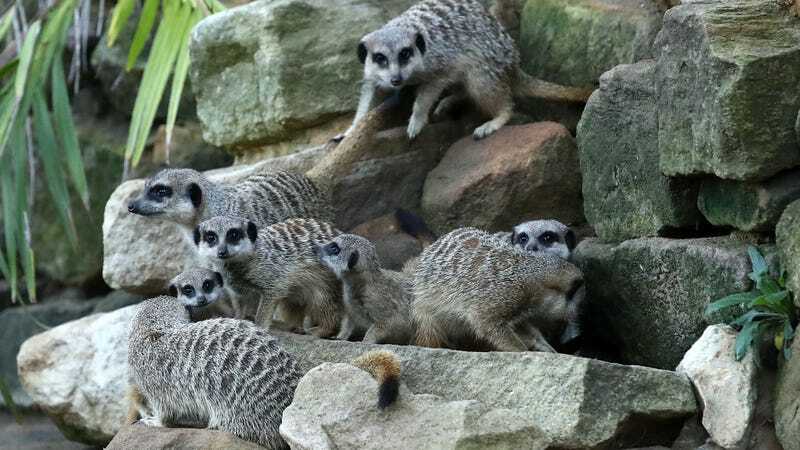 “The meerkats love to get cockroaches as a snack and what better way to celebrate Valentine’s Day than by feeding them a cockroach named after your ex!” zoo event coordinator Sarah Borrego told CBS News. I generally celebrate by eating an entire pizza by myself and watching Silence of the Lambs, but this sounds like a fine way to enjoy the holiday as well.